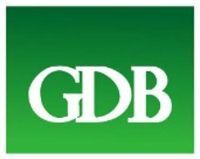 GDB Holdings Berhad, a construction service firm is scheduled to be listed in ACE Market of Bursa Malaysia on the 27th March 2018. The Initial Public Offering (IPO) consists of 125 million new ordinary shares and offer for sale of 37.5 millions existing shares at an IPO price of RM0.35 per share. 135 million shares will be for institutional investors, private placement & selected investors, 12.5 million shares made available for Malaysia Public and 15 million shares made available to the eligible directors and employees. Wegmans Holdings Berhad, a company involved in optical inspection and automated handling equipment is scheduled to be listed in ACE Market of Bursa Malaysia on the 6th March 2018. The Initial Public Offering (IPO) consists of 100 million new ordinary shares and 50 millions offer for sale of existing shares at an IPO price of RM0.29 per share. 110 million shares will be for institutional investors, private placement & selected investors, 25 million shares made available for Malaysia Public and 15 million shares made available to the eligible directors and employees. QES Group Berhad, a company involved in optical inspection and automated handling equipment is scheduled to be listed in ACE Market of Bursa Malaysia on the 8th March 2018. The Initial Public Offering (IPO) consists of 151.66 million new ordinary shares and 75.83 millions offer for sale of existing shares at an IPO price of RM0.19 per share. 180.31 million shares will be for institutional investors, private placement & selected investors, 37.92 million shares made available for Malaysia Public and 9.27 million shares made available to the eligible directors and employees. 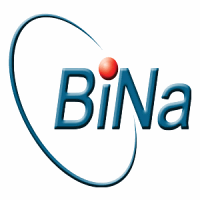 Binasat Communications Berhad, a Telco services provider is scheduled to be listed in ACE Market of Bursa Malaysia on the 8th January 2018. The Initial Public Offering (IPO) consists of 86 million new ordinary shares and 40 millions offer for sale of existing shares at an IPO price of RM0.46 per share. 100 million shares will be for institutional investors, private placement & selected investors, 13 million shares made available for Malaysia Public and 13 million shares made available to the eligible directors, employees and persons who have contributed to the success of the group. Kejuruteraan Asastera Berhad (KAB), an electrical and mechanical engineering specialist is scheduled to be listed in ACE Market of Bursa Malaysia on the 17th November 2017. The Initial Public Offering (IPO) consists of 80 million new ordinary shares and 32 millions offer for sale of existing shares at an IPO price of RM0.25 per share. 88 million shares will be for institutional investors, private placement & selected investors, 16 million shares made available for Malaysia Public and 8 million shares made available to the eligible persons..